I've really liked the Asus line up. Sleek, decent specs, quality build and usually a heck of a lot cheaper. They've just announced the new ZenFone Max Plus M1. Now this isn't their flagship type offering, but again, for the right user, it's going to be more than enough, especially when it's just $300CDN! (note, the link down below for the Amazon listing isn't working just yet). That's a heck of a battery!! 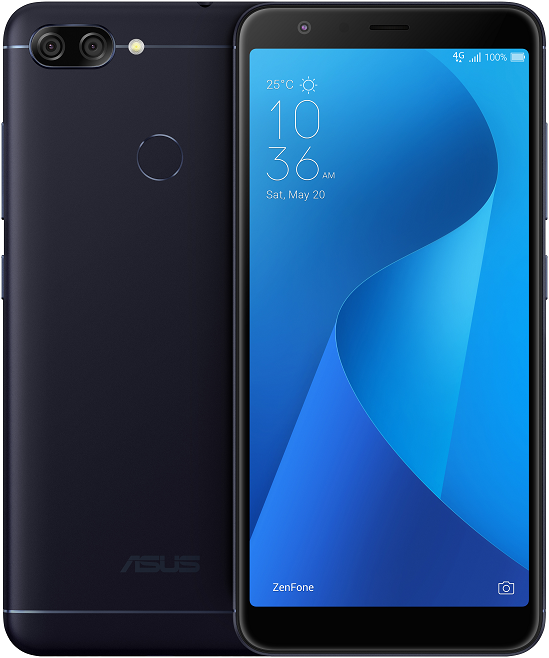 Fremont, CA (February 26, 2018) — ASUS today announced the ZenFone Max Plus M1, the first model in the new ZenFone Max Series. The ZenFone Max Plus M1 is the first ASUS smartphone with a 5.7-inch full-view display in an amazingly compact body that's no larger than many standard 5.2-inch smartphones. With its expanded viewing area, compact size, dual rear cameras, convenient face- and fingerprint-recognition security, and a high-capacity 4130mAh battery — the hallmark of the ZenFone Max Series — the ZenFone Max Plus M1 offers a class-leading combination of features designed to encompass all life's adventures. The ZenFone Max Plus M1 has the stamina to go the distance, and lets photo-lovers see the bigger picture with a wider range of creative options — all in a stylish metal design that's ergonomic and comfortable to hold. The new ZenFone Max Series is now a dedicated range of high-capacity smartphones. Previous generations of individual ZenFone Max models have become the company’s best-selling smartphones, with ZenFone Max, ZenFone 3 Max, ZenFone 4 Max and ZenFone 4 Max Pro achieving a combined sales volume of around 5 million units. The new ZenFone Max Series will include variants with different display sizes and system-on-a-chip (SoC) processors, but the hallmark of the range will be high-capacity, long lasting batteries. The FHD+ 5.7-inch full-view display in the ZenFone Max Plus M1 has a 18:9 aspect ratio and ultrathin bezels that give it an 80% screen-to-body ratio. This allowed our engineers to craft an amazingly compact and ergonomic body that's no larger than most standard 5.2-inch smartphones. The slim and elegant size, premium metal finish and 2.5D-curved front edges of the ZenFone Max Plus M1 make it exceptionally comfortable to hold, with significantly less bulk than a standard 5.7-inch phone. It's available in Moonlight Black and Azure Silver. With the ZenFone Max Plus M1, photo lovers can enjoy unrivaled creative possibilities. In addition to the front f/2.0 selfie camera, the ZenFone Max Plus M1 features an advanced dual rear-camera system designed to take mobile photography to new heights. Its 16MP PixelMaster main camera is equipped with a wide, f/2.0 aperture lens to capture clearer photos, and a phase-detection autofocus (PDAF) system that can accurately focus on the subject in just 0.03 seconds even if the subject is moving. The hallmark of the ZenFone Max Series is the huge battery capacity, designed for serious travelers and those who need maximum battery endurance. The ZenFone Max Plus M1 has a high-capacity, high-density 4130mAh battery that not only gives it incredible staying power, but also contributes to its unbelievably compact dimensions. The ZenFone Max Plus M1 offers users up to 26 hours on standby, 26 hours of 3G talk time, up to 21 hours of web browsing on Wi-Fi, or up to 13 hours of video playback. Its massive capacity also allows it to be used as a handy power bank to charge other devices. The battery system in the ZenFone Max Plus M1 features ASUS PowerMaster, a suite of intelligent power-management technologies that work in concert to optimize battery life, ensure safety and long-term performance, provide reverse-charging capability, and more. Twelve safety checkpoints — including temperature monitoring and overvoltage protection — combined with automatic maintenance settings keep the ZenFone Max Plus M1’s battery running optimally, providing a 2X-longer average lifespan compared to other smartphone batteries. The ZenFone Max Plus M1 is the first ZenFone — and one of the very few phones in its class — to feature Face Unlock, which gives users a quick, secure and convenient alternative to the rear fingerprint sensor for unlocking the phone when wearing gloves or in inclement weather conditions. The ASUS ZenFone Max Plus M1 ZB570TL is immediately available at an MSRP of $299 CAN from Amazon and other leading retailers.